You know the saying, April showers bring…what?…May flowers of course! But first, we have to actually get through all of the "showers" that mother nature is going to throw at us. With all of this crazy weather lately, I'll be surprised if she doesn't pour buckets on us. 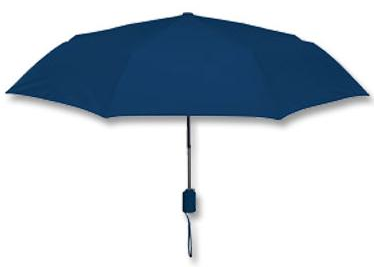 No worries though, Umbrellas.com has you covered with our huge selection of umbrellas! Our first featured umbrella is perfect for the daily commuter. It's small yet fashionable and of course, it's sturdy. With it being only 12 inches long, you can fit it on a purse or briefcase and still have room left over. It even comes in multiple colors such as navy, tan and black. 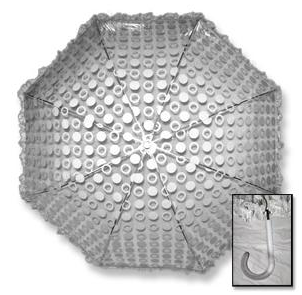 How great would it be to not have to worry about carrying a large umbrella on say a train, bus, or subway? What's even better is that you can just keep your Executive Mini Navy in your bag for one of those surprise showers that inevitably comes along at the worst times! And of course, we can't forget the kiddies. 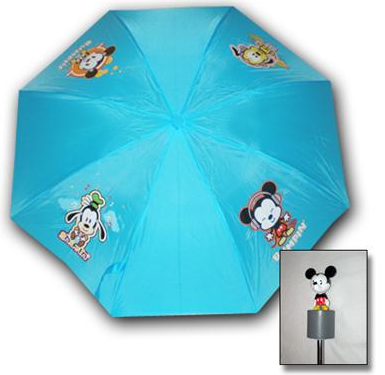 They'll love this adorable umbrella that has four extra cute Disney characters on it. It's made especially for them, so it's the perfect size for their small hands. It even has a special Mickey Mouse handle! So try and enjoy the rains of April with one of your new umbrellas! And remember to look forward to May and all of those beautiful flowers! We pride ourselves on having a beautiful and dear selection of unique umbrellas. Copyright (c) Umbrellas.com, iLoveUmbrellas.com All Rights Reserved. Travel theme. Powered by Blogger.